It can be used to listen the tempera-mandibular joints (They become noisy when they start to brake because of the bite problems), assist doctor to check the conditions of the joints and predict the result of treatment. 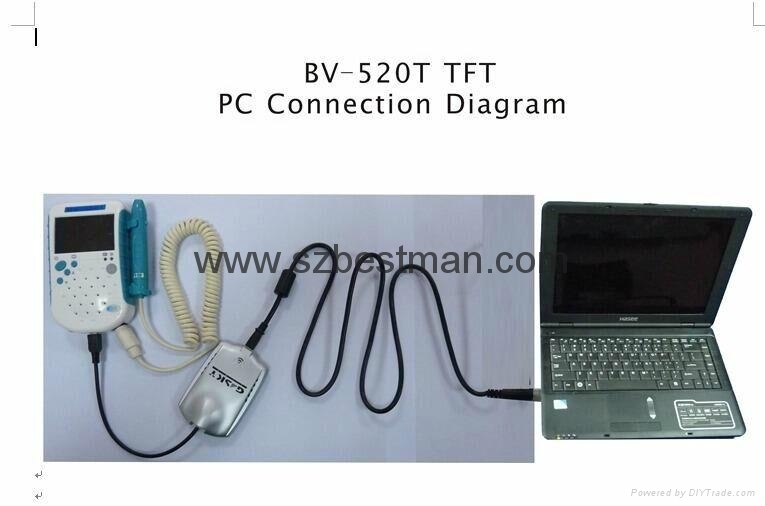 Detect the blood flow average velocity, detect the result of finger/toes and part of body's vein anatomies operation. Certification: The product approved by CE, Free sale certification. If you need copy of the files, please contact our sales. Customized product is welcomed, OEM supported. 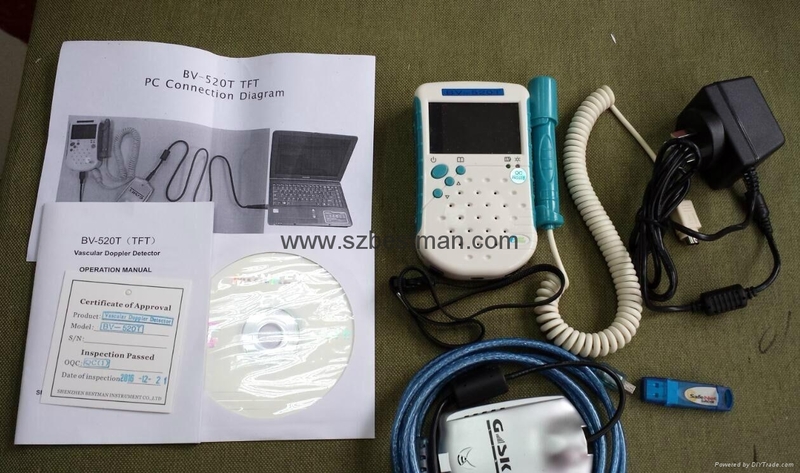 Founded in 2001 as a high-tech company, Shenzhen Bestman Instrument Co., Ltd. has been devoting to research, manufacturing and distribution of medical instruments. 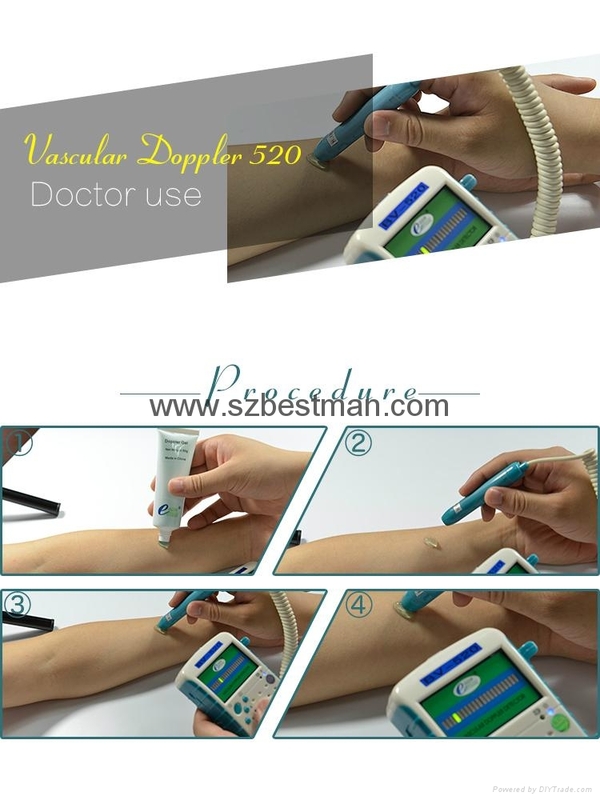 Nowadays a great variety of products have been gained high popularity in home and abroad in medical line. 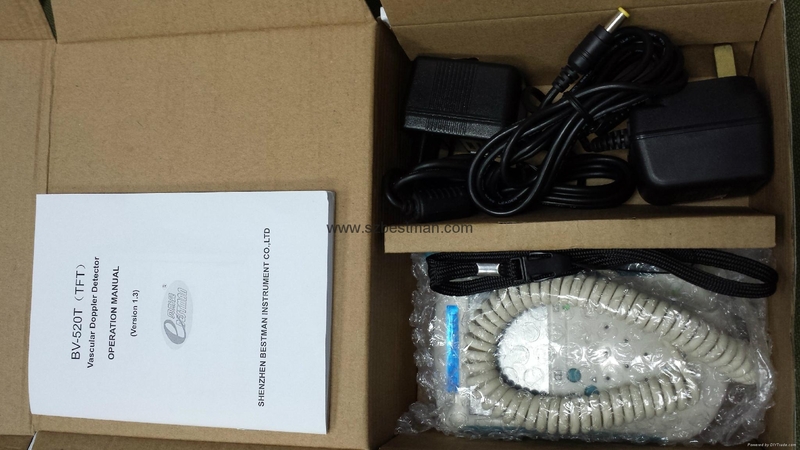 Bestman mainly has 9 series products: BF series Ultrasonic Fetal Doppler, BV series Ultrasonic Vascular Doppler, BFM series Fetal/Maternal Monitor,BPM series Multi-Parameter Patient Monitor, BD series Disposable Syringe Destroyer, ECG series, BEU series Ultrasound Scanners, BFW series Medical Fluid Infusion Warmer and BSP series Pulse Oximeter. 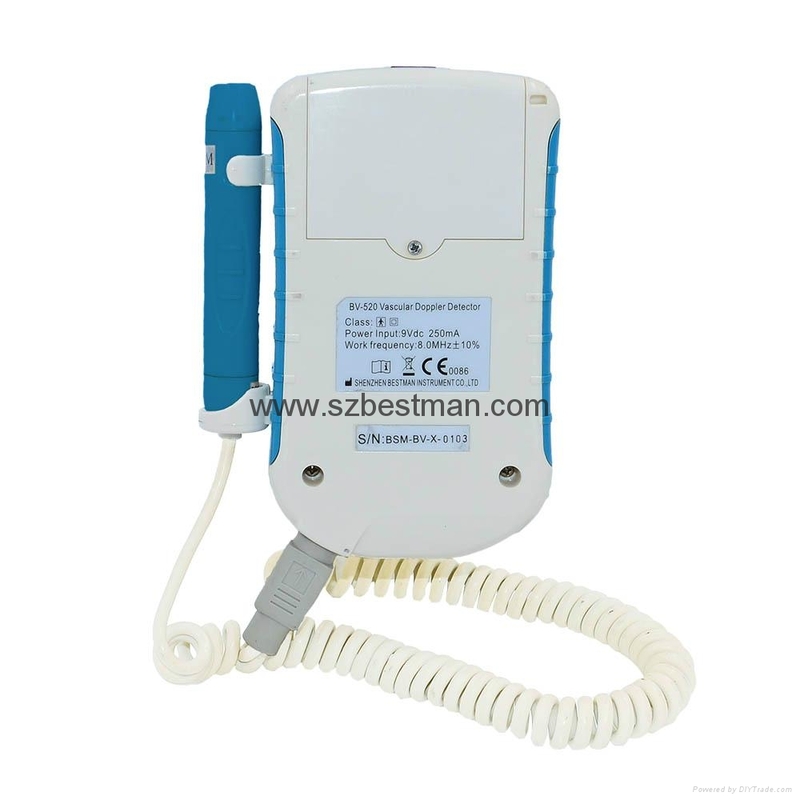 Vital signs monitor BSNT series, Obstetric detector BSNF series. 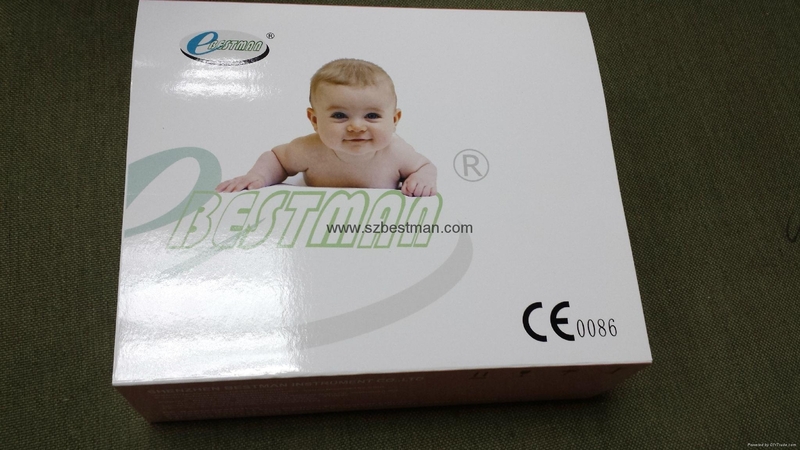 Bestman approve with ISO9001:2008, ISO13485:2003 successfully, and our products also got CE and FDA certificate. Our products have been exported to Europe,South America, Oceania, Africa, the Middle-East,Southeast Asia and USA,Canada,etc., dozens of countries and areas.